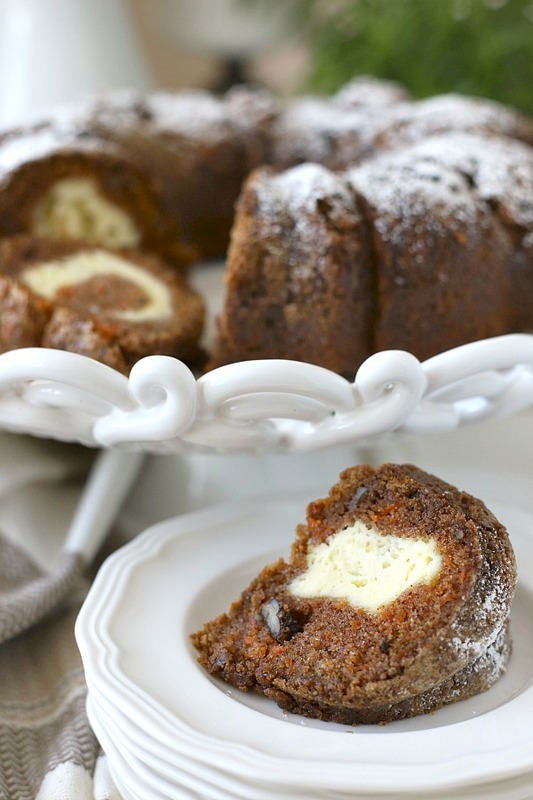 Filled with a tunnel of sweetened cream cheese, surprise carrot bundt cake is moist and delicious. 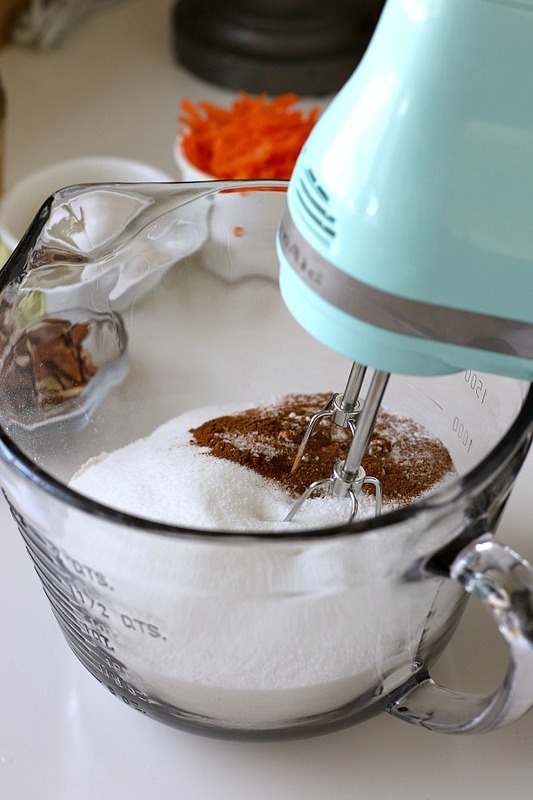 You’ll love this easy recipe that needs only a dusting of sugar to finish. Oh, yes, there it is. 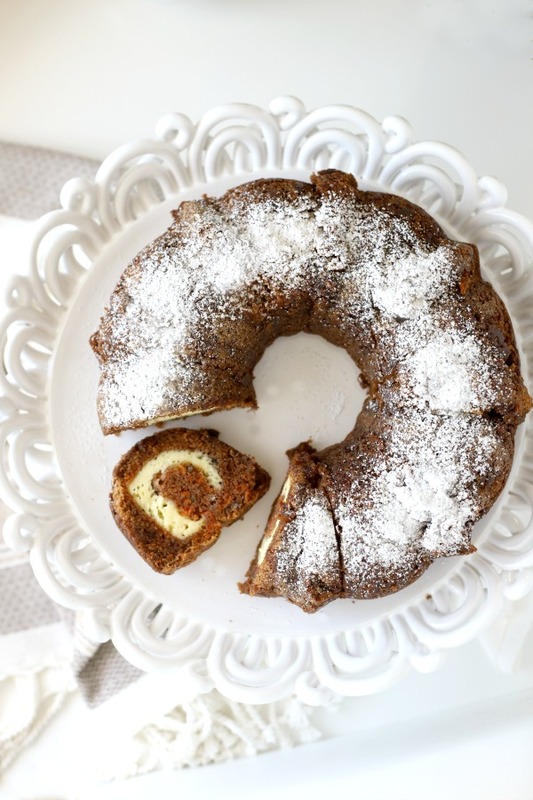 A lovely swirl of yummy cream cheese. Surrounded by a dense and delicious cake lightly flavored with cinnamon and flecks of carrot with morsels of crunchy nuts. With all of this flavor there is no need for extra frosting. 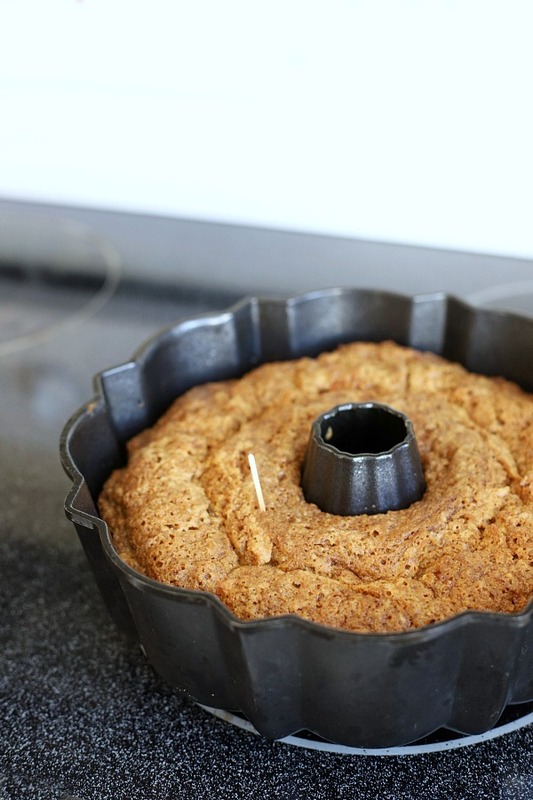 I like that Bundt cakes travel well and require just one pan. Add a slice to a packed lunch or enjoy as a mid-day snack. So good with a cup of coffee or tea. 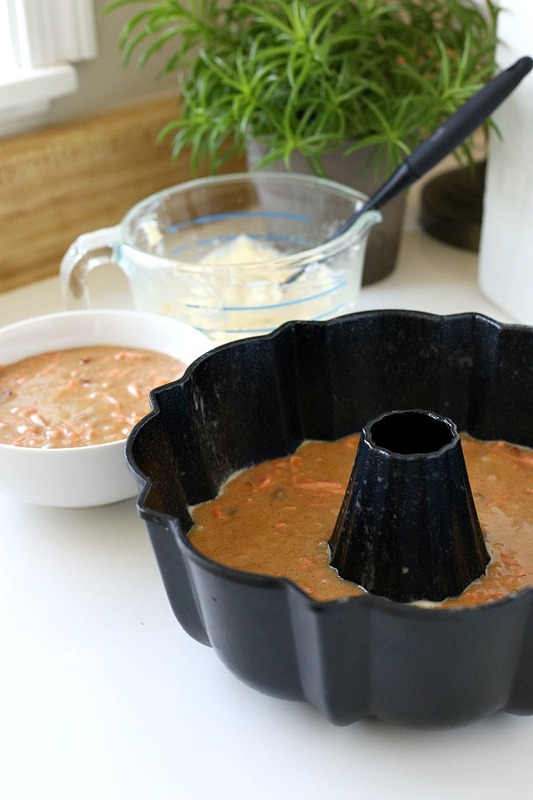 Grease and flour a 9-inch Bundt pan. 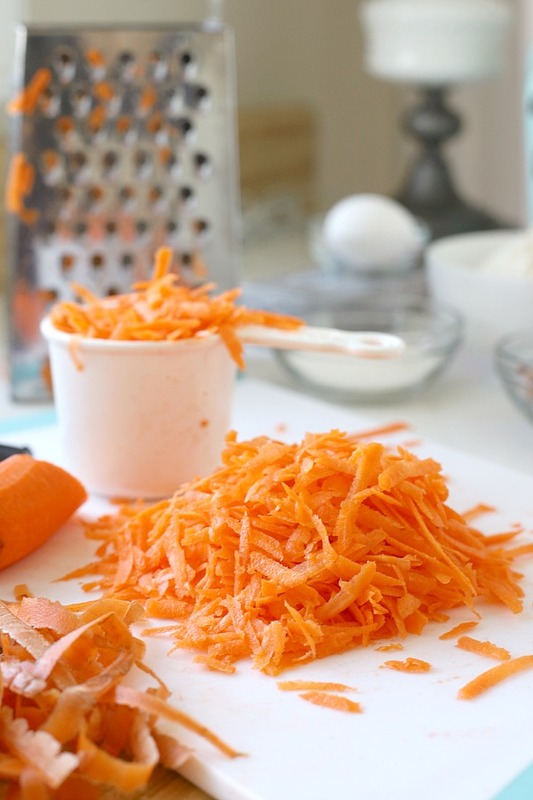 Grate the carrots. You will need 3 cups. 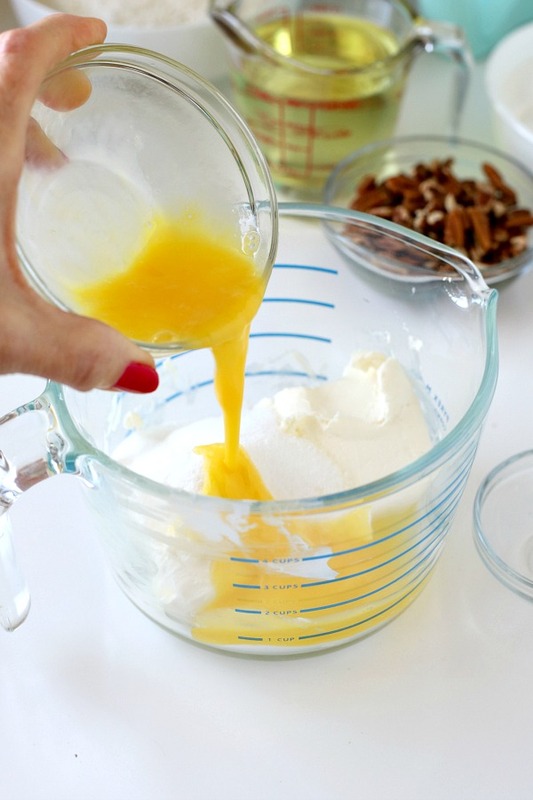 Add cream cheese, sugar and egg to a medium-size mixing bowl. 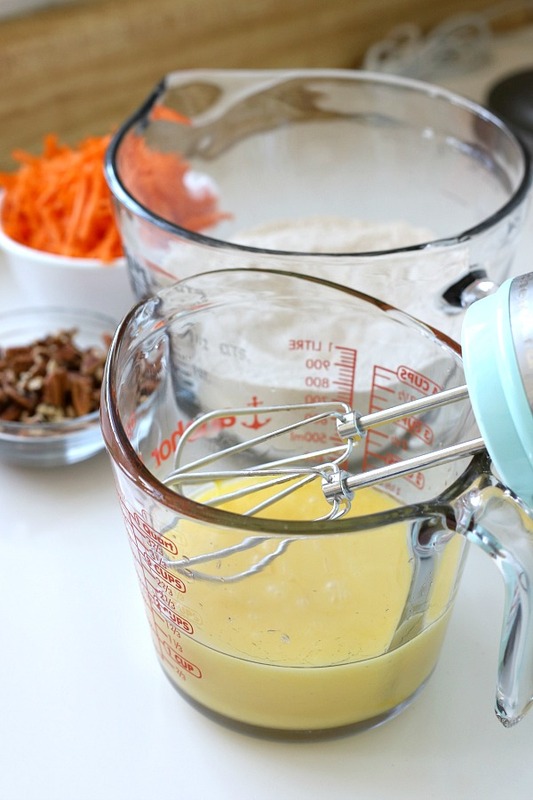 Mix until well blended; set aside. In a third bowl, combined oil and eggs, mixing just until moistened. 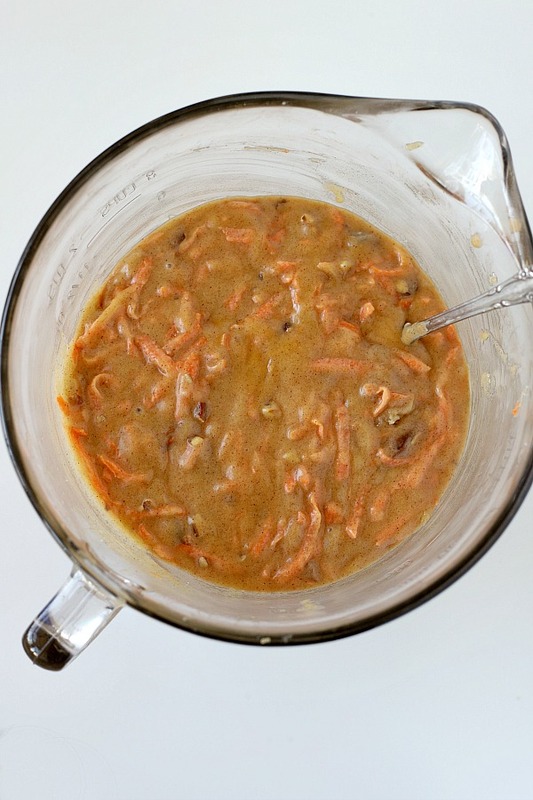 Combine this mixture with the dry ingredients. 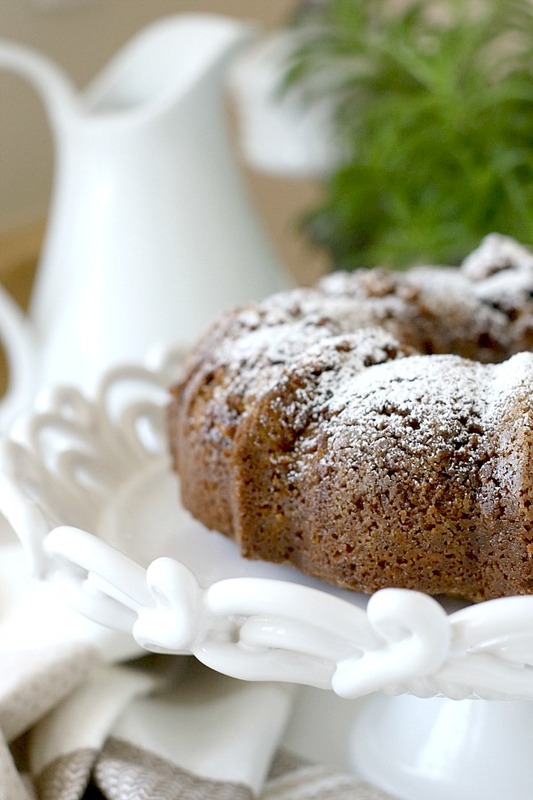 Reserve 2 cups of batter; pour remaining batter into greased and floured 9-inch Bundt pan. Spoon cream cheese mixture over batter. 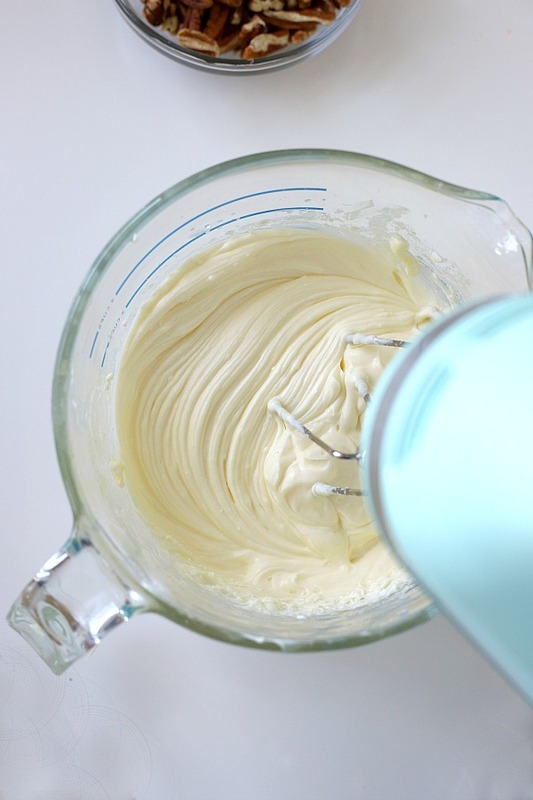 Carefully spoon reserved batter over cream cheese mixture, spreading to cover. Bake at 350 degrees, 55 minutes or until wooden pick inserted in center comes out clean. Cool 10 minutes; remove from pan. Cool thoroughly. Sprinkle with powdered sugar, if desired. Combine dry ingredients. Add combined oil and eggs, mixing just until moistened. 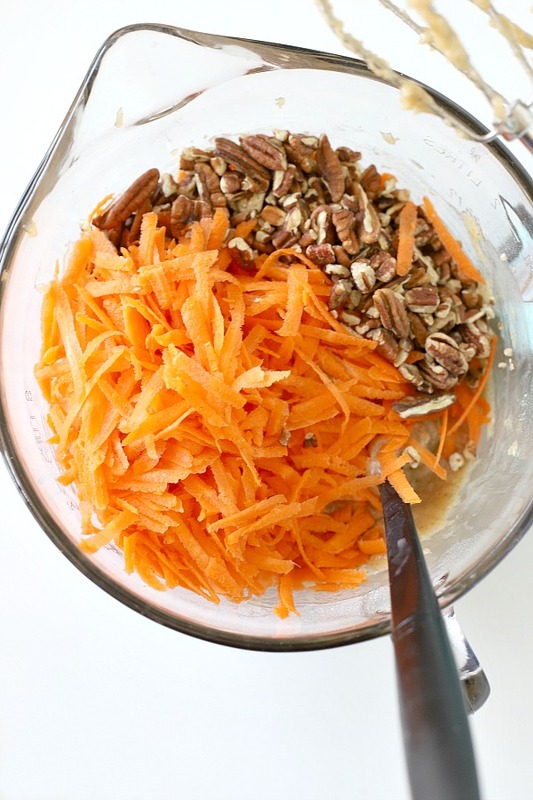 Fold in carrots and nuts. 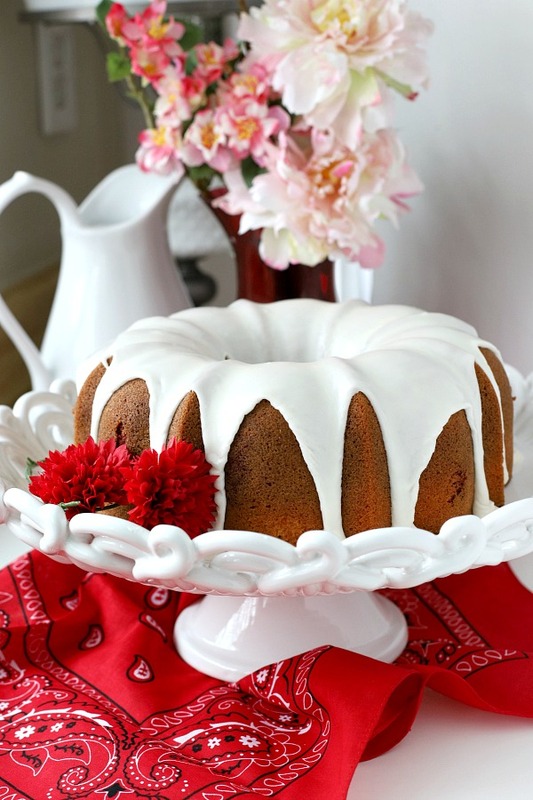 Reserve 2 cups of batter; pour remaining batter into greased and floured 9 inch Bundt pan. 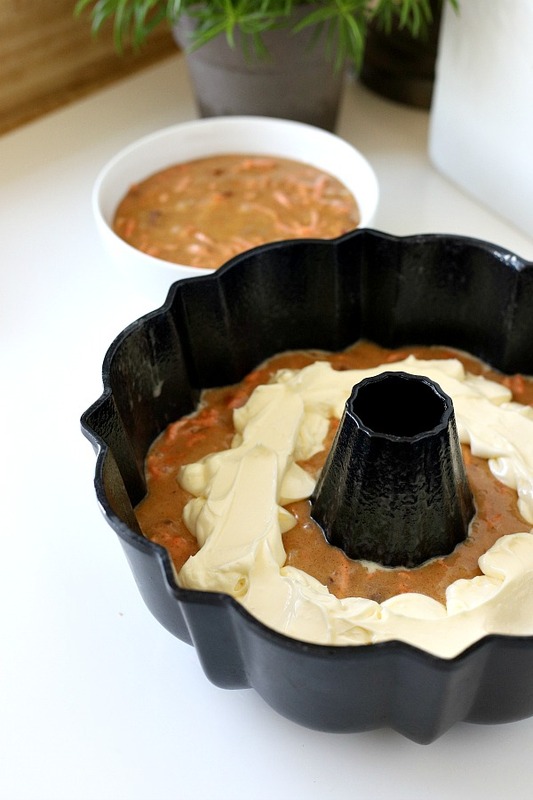 Spoon cream cheese mixture over batter; carefully spoon reserved batter over cream cheese mixture, spreading to cover. Made this cake on Saturday. It was delicious. This recipe is going into my “keep recipes” file. Looks absolutely delicious and beautiful !! Looks delicious. 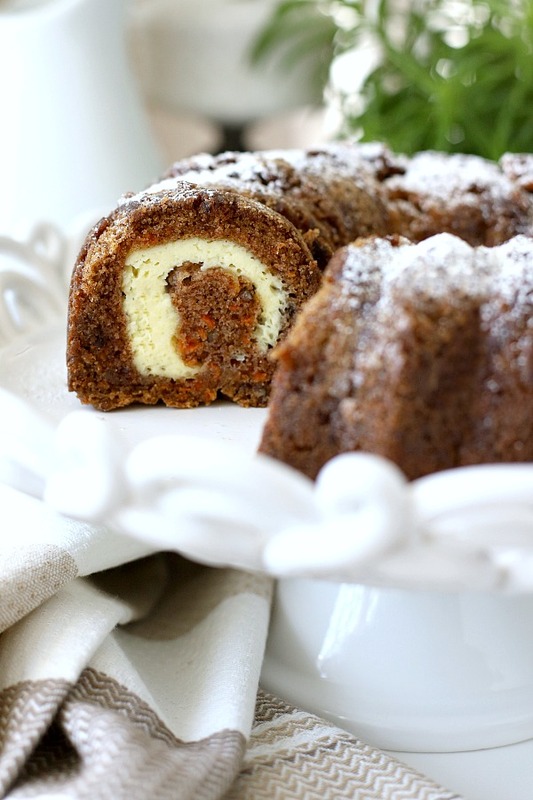 I like carrot cake and this would be even better. 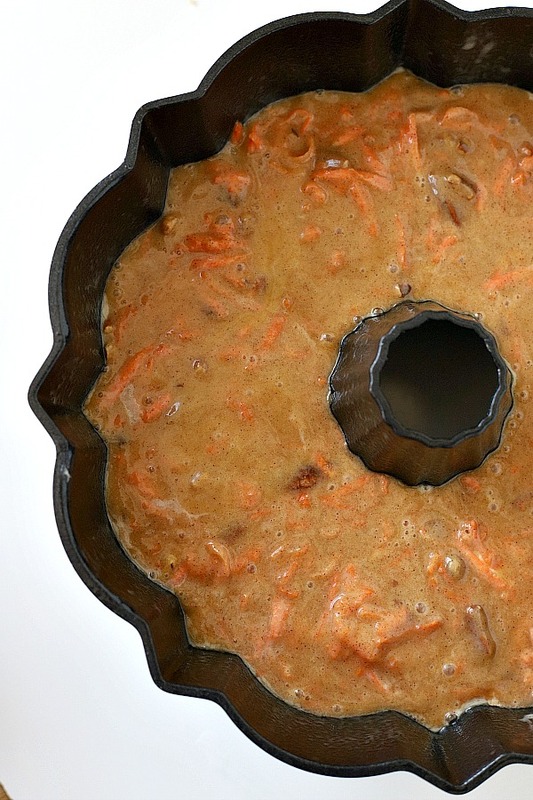 My husband would love the carrot surprise cake. It looks delicious!